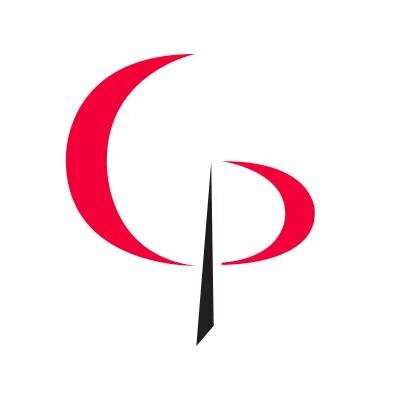 CALGARY, Alberta, Sept. 05, 2018 (GLOBE NEWSWIRE) — Crescent Point Energy Corp. (“Crescent Point” or the “Company”) (TSX and NYSE: CPG) and the Board of Directors (the “Board”) are pleased to announce the appointment of Craig Bryksa as President and Chief Executive Officer (“CEO”), the adoption of a new clearly defined transition plan with measurable deliverables, the Company’s preliminary 2019 guidance and the appointment of Robert (Bob) Heinemann as the new Chairman of the Board. Focusing the Company’s asset base by pursuing significant upstream asset divestitures. Targeting a net debt reduction of over $1.0 billion by year end 2019, at current strip commodity prices, through a disciplined return-focused budget and asset dispositions. Identified certain midstream assets for potential monetization. Reduced workforce, resulting in an annual total expense savings of over $50 million. A suite of assets with high returns, scalability and the ability to increase free cash flow generation. Multiple high-quality assets of smaller scale that could be divested to enhance shareholder returns. A strong technical and operations team with a proven track record and waterflood expertise. Focusing the Company’s asset base, resulting in a stronger balance sheet and debt-adjusted per share metrics. Enhancing Crescent Point’s business model sustainability through increased free cash flow generation. Improving the Company’s cost structure and capital allocation process by emphasizing risk-adjusted returns and efficiencies. To focus its asset base, the Company considered a number of key criteria, including returns, scalability, free cash flow potential and the ability to improve commodity market access. Based on these factors, Crescent Point has identified the Viewfield, Shaunavon and Flat Lake resource plays as key focus areas. The Company also plans to continue advancing its emerging and earlier stage resource plays in the Uinta Basin and East Shale Duvernay in a paced and disciplined manner, which could provide significant opportunity over the long-term and garner increased capital over time. These areas, including its emerging and earlier stage resource plays, accounted for approximately 70 percent of Crescent Point’s second quarter 2018 production. The Company’s remaining assets account for approximately 50,000 boe/d of its current production. Crescent Point is also reviewing the sale of certain infrastructure assets. The Company believes such a transaction could unlock value, provide a near-term source of proceeds for net debt reduction and create a strategic partnership. Such a purchaser could also potentially fund key future infrastructure projects, further increasing Crescent Point’s financial flexibility, market access and overall returns. Crescent Point is targeting a net debt reduction of more than $1.0 billion by year end 2019 at current strip commodity prices. The Company’s debt reduction strategies include maximizing free cash flow through an efficient capital allocation process, cost reductions and disciplined asset sales. As at June 30, 2018, Crescent Point had a net debt to funds flow from operations of over 2.0 times and cash and unutilized credit capacity of approximately $1.5 billion, with no material near-term debt maturities. Once Crescent Point achieves its target debt levels, it will be in a better position to allocate free cash flow to other opportunities that drive value, such as additional debt-adjusted return-based growth, a return of capital to shareholders via options such as dividends and potential share repurchases or a combination thereof. Crescent Point’s 2018 guidance remains unchanged, with an annual average production of 177,000 boe/d and $1.775 billion of capital expenditures. This guidance implies second half 2018 capital spending of approximately $750 million and production averaging approximately 174,000 boe/d, reflecting previously announced dispositions that closed toward the end of second quarter 2018. 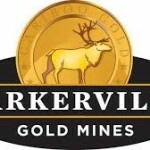 The Company expects its 2019 capital expenditures to be approximately $1.55 billion to $1.60 billion, at current strip commodity prices, with annual average production of approximately 176,000 to 180,000 boe/d. This initial production range reflects various capital allocation scenarios and does not account for potential dispositions during the second half of 2018. Crescent Point intends to finalize its 2019 guidance upon the completion of its 2018 capital program. The Company’s capital expenditures budget excludes capital expenditures on land, which are less predictable and partly dependent on land sale outcomes. Land expenditures in 2019 are expected to be modest at approximately one to two percent of incremental capital. Crescent Point’s cash flow sensitivity in 2019, inclusive of current hedging, is approximately $45 million for every US$1/bbl change in WTI. The Company’s near-term spending plan reflects its disciplined capital allocation process aimed at delivering risk-adjusted returns, consistent activity levels and projects that create long-term value. Under strip commodity pricing, Crescent Point expects its funds flow from operations to exceed capital expenditures and dividends in 2019, with free cash flow directed toward debt reduction. With a reduced near-term spending outlook, compared to previous projections, the Company is placing greater emphasis on returns versus growth during its 12 to 24 month transition. Following that period, Crescent Point expects its organic growth rate to increase in priority, including strong debt-adjusted metrics, as a product of a more focused and efficient production base. Reducing the number of areas in which the Company operates, thereby further enhancing efficiencies. Reducing its net debt to funds flow from operations to below 1.3 times, based on US$65/bbl WTI. Increasing Crescent Point’s funds flow from operations netback through improvements to its cost and capital structure by greater than six percent at US$65/bbl WTI, from approximately $32.25/boe prior to this transition. Increasing free cash flow generation through improved capital efficiencies, cost reductions, the application of decline rate mitigation techniques and following a disciplined capital allocation process. As part of Crescent Point’s ongoing Board renewal process, Peter Bannister has stepped down as Chairman of the Board, with Mr. Heinemann assuming the role. Mr. Heinemann has served the Board since 2014 and possesses more than 30 years of executive oil and gas experience and leadership, including acting as a director on various company boards as well as his prior position as President and CEO of Berry Petroleum Co. from 2004 to 2013. The appointment of the Company’s Chairman of the Board and CEO follow Crescent Point’s previously disclosed governance review that commenced in late 2017 and includes Board and executive succession planning as integral components. Mr. Bannister and, as previously announced, Gerald Romanzin, will each be retiring from the Board at the Company’s 2019 annual general meeting (“AGM”). Following the Company’s 2019 AGM, Crescent Point’s Board will have undergone a complete renewal since inception. The Company’s management will host a conference call on Wednesday, September 5, 2018 at 7:00 a.m. MT (9:00 a.m. ET), to discuss its strategy and outlook. A slide deck will accompany the conference call and can be found on Crescent Point’s website under the “Invest” heading. Participants can listen to this event online by entering https://edge.media-server.com/m6/p/f97nda64 in a web browser. Alternately, the conference can be accessed by dialing 844-231-0101 or 216-562-0389 and entering the following passcode: 8629178. For those unable to participate in the conference call at the scheduled time, the webcast will be archived for replay and can be accessed on the Company’s website at www.crescentpointenergy.com. The replay will be available approximately one hour following completion of the call. Throughout this press release, the Company uses the terms “funds flow from operations”, “net debt”, “net debt to funds flow from operations”, “funds flow from operations netback” and “free cash flow”. These terms do not have any standardized meaning as prescribed by IFRS and, therefore, may not be comparable with the calculation of similar measures presented by other issuers. Funds flow from operations is calculated based on cash flow from operating activities before changes in non-cash working capital, transaction costs and decommissioning expenditures. Transaction costs are excluded as they vary based on the Company’s acquisition and disposition activity, and to ensure that this metric is more comparable between periods. Decommissioning expenditures are excluded as the Company has a voluntary reclamation fund to fund decommissioning costs. Management utilizes funds flow from operations as a key measure to assess the ability of the Company to finance dividends, operating activities, capital expenditures and debt repayments. Funds flow from operations as presented is not intended to represent cash flow from operating activities, net earnings or other measures of financial performance calculated in accordance with IFRS. Funds flow from operations netback is calculated on a per boe basis as funds flow from operations divided by total production. Free cash flow is calculated as funds flow from operations less capital expenditures. In particular, this press release contains forward-looking statements pertaining, among other things, to the following: the Company’s target for net debt reduction at current strip prices (and strategies to do so) along with the anticipated timetable to complete the reduction; the Company’s plans to pursue upstream asset divestitures; the potential disposition of midstream assets (including several gas plants) and the possible impact such disposition could have on unlocking value, providing a near-term source of proceeds to reduce net debt and establishing strategic relationships to fund future infrastructure projects to further enhance financial flexibility, market access and overall returns; the expected annual operating and general and administrative expense savings from reduced workforce; the expected impact of the transition plan on ensuring the Company becomes more focused and efficient, strengthening the Company’s balance sheet and enhancing sustainability and returns for shareholders; the Company’s focal points over the next 12 to 24 months, including plans to focus the Company’s asset base (and the impact of doing so on the balance sheet, debt adjusted per share metrics, capital allocation and overall efficiencies), enhance sustainability through the generation of increased free cash flow and emphasizing risk-adjusted returns and efficiencies (and the expected impact that will have on cost structure and capital allocation); the expected opportunity to execute strategic dispositions to further strengthen the Company’s financial position; the options the Company believes are available to it to enhance value; the Company’s plans to be flexible in its divestiture program; the Company’s plans to continue advancing its earlier stage resource plays and the potential significant opportunity that could be provided by such advancement and the potential allocation of additional capital to those plays; the Company’s plans to continue to evaluate its assets; the Company’s net debt to funds flow ratio target at US$65/bbl WTI and the anticipated impact of commodity prices on this target; Crescent Point’s long term goal to maintain a strong financial position, protect against price volatility and generate strong debt-adjusted per share metrics for shareholders; the expectation that Crescent Point will internally fund its development programs; possible uses of excess funds flow once target debt levels are achieved; how the Company expects to increase free cash flow generation and how the Company plans to manage its capital allocation process based on risk-adjusted returns and long-term development goals; the expected savings associated with reduced named executive officer compensation; the Company’s plan to review its operating and capital costs on an ongoing basis; Crescent Point’s 2018 annual average production and capital expenditure guidance, including anticipated second half 2018 capital spending and production; the Company’s expected 2019 capital expenditures at current strip prices, annual average production and land expenditures; the Company’s expectation that funds flow will exceed capital expenditures in 2019 under strip pricing and how that will drive strong free cash flow generation and how that free cash flow will be allocated to debt reduction; the anticipated timing to finalize the Company’s 2019 guidance; Crescent Point’s expectation that it will place greater emphasis on returns versus growth over the transition period and its expectation that its growth rate will increase as a priority thereafter; the Company’s expectations regarding the delivery of strong return-based debt adjusted growth metrics; the transition plan deliverables expected to be delivered over the next 12 to 24 months; the Company’s expectation that the transition plan will deliver ongoing improvement in the Company’s financial position, profitability and sustainability; and the expected impact of the transition plan on shareholder value; the anticipated timing of director retirements. All forward-looking statements are based on Crescent Point’s beliefs and assumptions based on information available at the time the assumption was made. Crescent Point believes that the expectations reflected in these forward-looking statements are reasonable but no assurance can be given that these expectations will prove to be correct and such forward-looking statements included in this report should not be unduly relied upon. By their nature, such forward-looking statements are subject to a number of risks, uncertainties and assumptions, which could cause actual results or other expectations to differ materially from those anticipated, expressed or implied by such statements, including those material risks discussed in the Company’s Annual Information Form for the year ended December 31, 2017 under “Risk Factors,” in our Management’s Discussion and Analysis for the year ended December 31, 2017, under the headings “Risk Factors” and “Forward-Looking Information” and for the quarter ended June 30, 2018 under “Derivatives”, “Liquidity and Capital Resources”, “Changes in Accounting Policy” and “Outlook”. The material assumptions are disclosed in the Management’s Discussion and Analysis for the year ended December 31, 2017, under the headings “Capital Expenditures”, “Liquidity and Capital Resources”, “Critical Accounting Estimates”, “Risk Factors”, “Changes in Accounting Policies” and “Outlook” and are disclosed in the Management’s Discussion and Analysis for the quarter ended June 30, 2018 under the headings “Derivatives”, “Liquidity and Capital Resources”, “Changes in Accounting Policy” and “Outlook”. In addition, risk factors include: financial risk of marketing reserves at an acceptable price given market conditions; volatility in market prices for oil and natural gas; delays in business operations, pipeline restrictions, blowouts; the risk of carrying out operations with minimal environmental impact; industry conditions including changes in laws and regulations and the adoption of new environmental laws and regulations and changes in how they are interpreted and enforced; risks and uncertainties related to all oil and gas interests and operations on tribal lands; uncertainties associated with estimating oil and natural gas reserves; economic risk of finding and producing reserves at a reasonable cost; uncertainties associated with partner plans and approvals; operational matters related to non-operated properties; increased competition for, among other things, capital, acquisitions of reserves and undeveloped lands; competition for and availability of qualified personnel or management; incorrect assessments of the value of acquisitions and exploration and development programs; unexpected geological, technical, drilling, construction and processing problems; availability of insurance; fluctuations in foreign exchange and interest rates; stock market volatility; failure to realize the anticipated benefits of acquisitions; general economic, market and business conditions; uncertainties associated with regulatory approvals; uncertainty of government policy changes; uncertainties associated with credit facilities and counterparty credit risk; and changes in income tax laws, tax laws, crown royalty rates and incentive programs relating to the oil and gas industry; and other factors, many of which are outside the control of Crescent Point. The impact of any one risk, uncertainty or factor on a particular forward-looking statement is not determinable with certainty as these are interdependent and Crescent Point’s future course of action depends on management’s assessment of all information available at the relevant time. Suite 2000, 585 – 8th Avenue S.W.